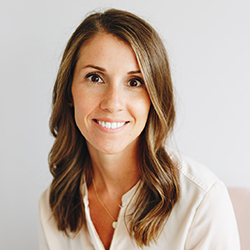 Katie Corazzo, ND is a Naturopathic Doctor practicing family medicine. Women, men, and their children looking for integrative health care can find natural treatments and preventative options with Dr. Katie. She is a family practitioner specializing in Natural Medicine. Many of our health problems stem from underlying issues; whether it be an imbalance physically, mentally, or emotionally. Dr. Katie offers a unique approach to uncovering the cause of illness and creating individualized treatments. Cutting edge natural medicines provide successful outcomes. Taking the time to listen and understand your health concerns is something she does with each and every patient. Dr. Katie will be there to guide you down the path to better health, offering guidance for women’s health questions, infertility, fertility, weight loss, digestive concerns, anxiety/depression, fatigue, nutrition, and more.